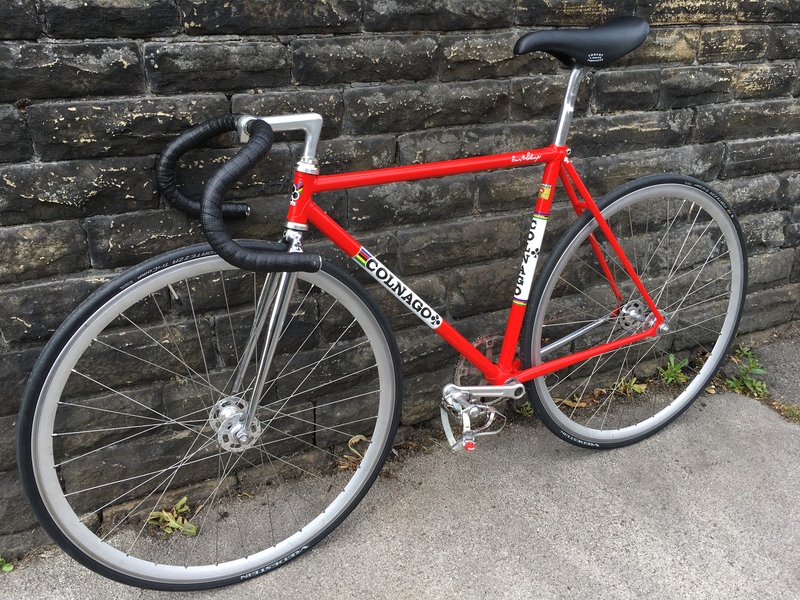 Hi, I’m selling my beloved Colnago Super Pista. I’ve had it up on ebay for £1450 twice now but no luck so I’m holding back on relisting in case there is any interest on here. Unfortunately, the time has come to part with my beloved fixed wheel Colnago. Purchased in 2015 and imported from JOCH Racing (Italy). 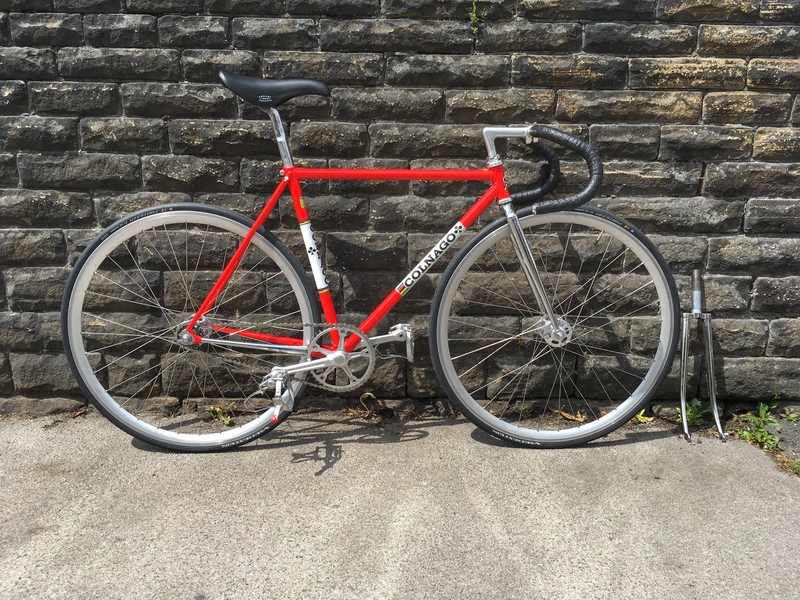 I have painstakingly sourced many of these parts and built what I beleive to be a beautiful example of a 1980’s Italian track bicycle. 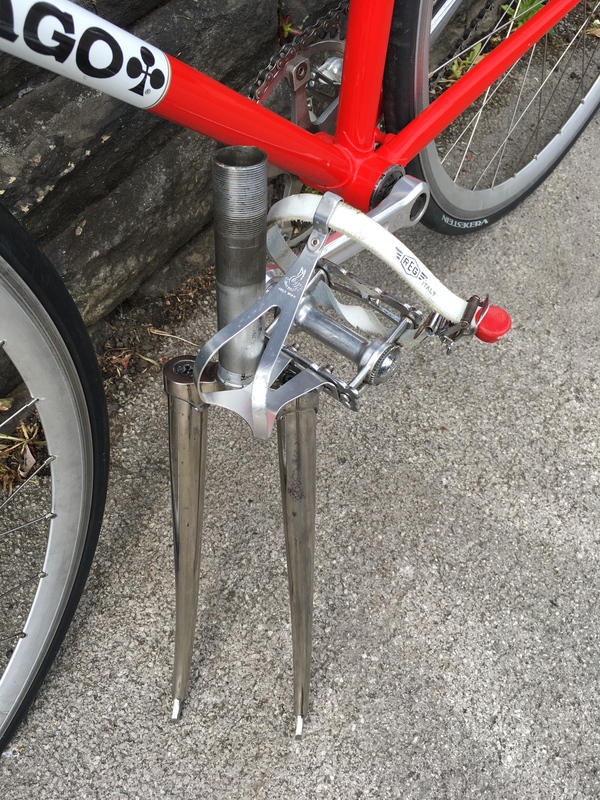 For aesthetic reasons, whilst in Italy I sourced a mint Colnago Precisa fork (for €300 which had to be re-Italian threaded/cut down). 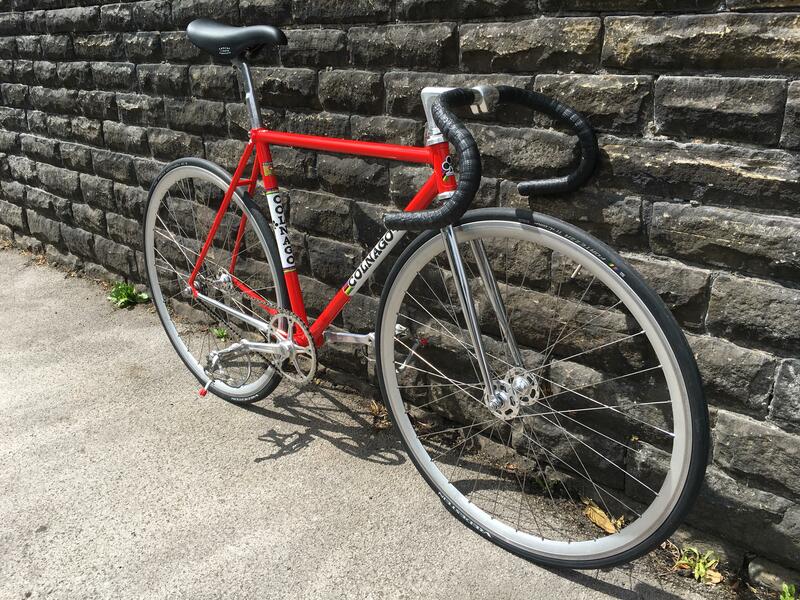 This is fitted to the bike but I will also inculde the original Colnago chromed fork with the sale. The bike is in mint condition and rides tight and fast (rides beautifully on the track). For obvious reasons, this isn’t really a commuter but a real head turner on dry sunny days. I’m reluctant to post but would be happy to drop off if based in the North/midlands. Collection in person is welcomed (this is how the sale is listed, but negotiable - please contact). If you require any more photos please don't hesitate to ask. Thanks for looking, it’s a beautiful bike - don’t miss this! Frame has been professionally refurbished (decals beneath clearcoat) with original chroming. I’m unsure of actual value now?